Our lobby’s rotating collection of contemporary art has featured pieces by renowned artists such as blown glass virtuoso Dale Chihuly. Located in the middle of New Orleans' dynamic Arts District, we're perfectly situated for guests wanting to explore the alternative side of the Big Easy. Built in one of the neighborhood's historic warehouses, the Arts Hotel itself offers exceptional boutique-style accommodations with an artistic flair. We have more than 11,000 square feet of meeting space as well if you need to get down to business, while our on-site Legacy Kitchen restaurant offers refined American fare as well as hand-crafted cocktails in a casual setting. Let our Navigators help guide you through the best the area has to offer, including the famed New Orleans Museum of Art and the many galleries peppered along Julia Street. Milk Bar's sandwiches come on specially made La Boulangerie bread, an entire round ciabatta loaf used for each tasty creation. Milk Bar has opened its second location in Uptown, providing New Orleans residents on the other side of the city with a taste of their fast and friendly service and delicious sandwiches. Strangely enough, Milk Bar has little to do with dairy products, instead named for Australian institutions that exist somewhere between corner stores and delis. The vibe here is no different, owners greeting patrons and occasionally hopping behind the counter to whip up some of the fun sandwiches, all of which described in brief by the plays on words that constitutes the names. The Speared Pig is a particularly tasty creation, matching smoked ham with asparagus spears and a Hollandaise sauce. The Shrimply the Best is another example, taking New Orleans seafood to the next level with pesto, mozzarella, red onion and lemon mayo. 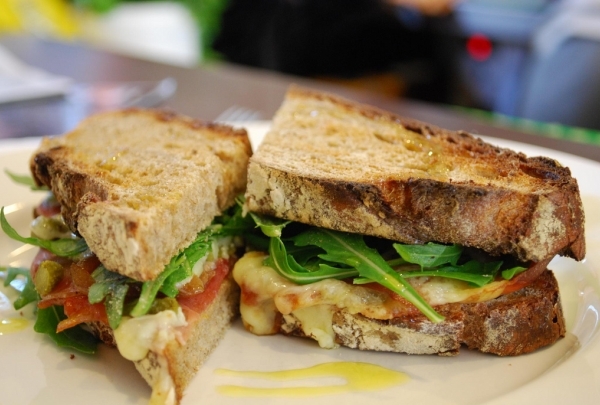 For a delicious taste of simple sandwiches made with care, Milk Bar is hard to beat. 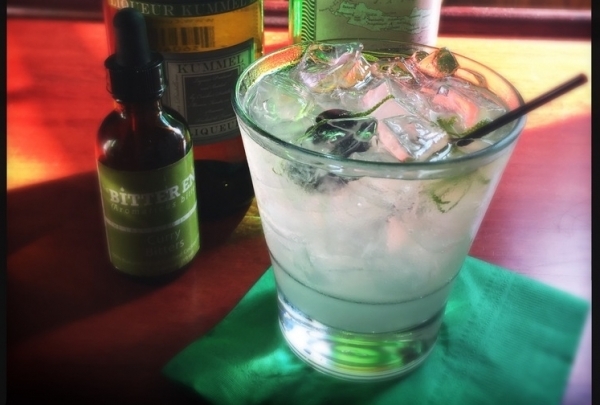 The carefully crafted cocktails served at this lounge include local favorites like the Ramos Gin Fizz and the French 75. Victory entices drinkers (and diners) with carefully crafted cocktails, a luxurious lounge atmosphere and savory small plates. 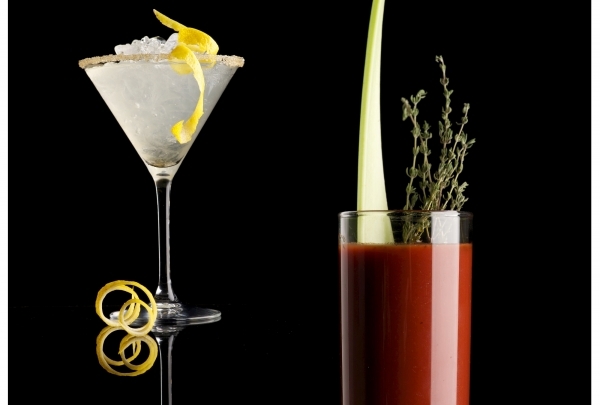 The cocktail menu also offers a variety of classic New Orleans cocktails and Victory's original creations, like the Triple Bitter Manhattan, Beetin the Lime and Port Wine Cobbler. Moreover, small plate options accompanying flavorful appetizers include stuffed mushrooms, bacon wrapped scallops and a Korean BBQ Lettuce Wrap Platter. If you want to bring a piece of France into your home then look no further than the goods brought from overseas in this shop. Elegant French decor isn't limited to those lucky enough to reside in the French countryside. Maison de Provence gives everyone in search of French-styling interesting options that generally don't saturate the marketplace. For instance, Maison de Provence's owner, Terri Goldsmith, carefully selects and imports 18th and 19th-Century pieces from France, Italy and Sweden to give her clients access to truly unique items. Other things they happen to carry are tables and chairs, painted chests and wardrobes, and accessories along with custom upholstered furniture. Selling rare posters, prints and memorabilia. 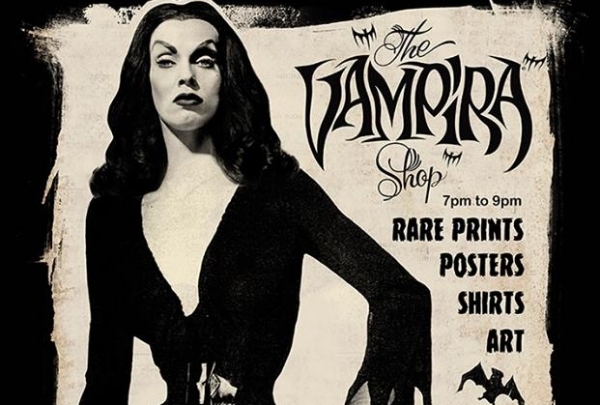 The Vampira Shop offers visitors a wide selection of horror-related posters, prints and memorabilia. You pay only what you think your meal is worth at Meson 923, where each delicious dish is truly priceless! Meson 923 is housed in a beautifully restored warehouse a short distance from the Ernest N. Morial Convention Center, a humble locale for one of New Orleans' best new contemporary dining locations. Baruch Rabasa stepped up after Chef Chris Lynch's departure, and the complete lack of slowdown speaks entirely to Rabasa's talents. Trained at the Culinary Institute of America, Rabasa melds fine dining French techniques with the cuisine of his Mexican heritage and Barcelona relatives. Almost everything goes through a sous vide treatment at Meson, meaning the beef filet falls apart at the touch of a fork. Meson 923 gets incredibly packed on weekend nights, so guests are well advised to make reservations, although there is balcony seating that is walk-in only. Often rated as one of the best clothing stores in America, this shop offers a wide selection of clothing and accessories. Since 1924, Rubensteins has been serving New Orleans with the best in apparel and accessories. This men's and women's fashion store is rated one of the top ten in the United States specializing in formal and casual apparel and various accessories. A person coming into Rubensteins can buy everything from hats to shoes. The service is unrivaled with a staff that waits on you hand and foot. 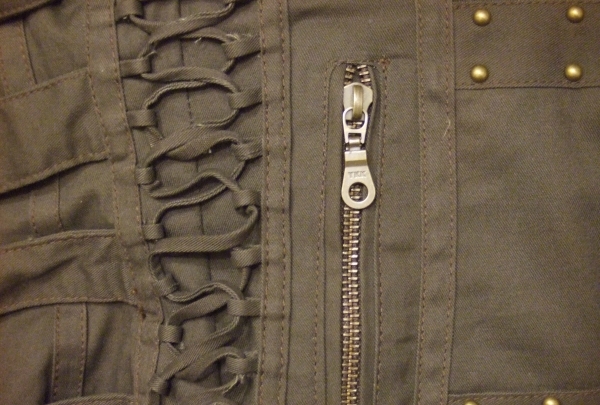 There is also a full alteration service on the premises and free valet parking. Welcome to a New Orleans backyard party located in the Ninth Ward. Weather-permitting you can enjoy a fine selection of wine, cheese plates, and live music in a backyard setting at Bacchanal Wine. Animals from around the world are on display at this local zoo. Be sure not to miss the popular Jaguar Jungle exhibit! 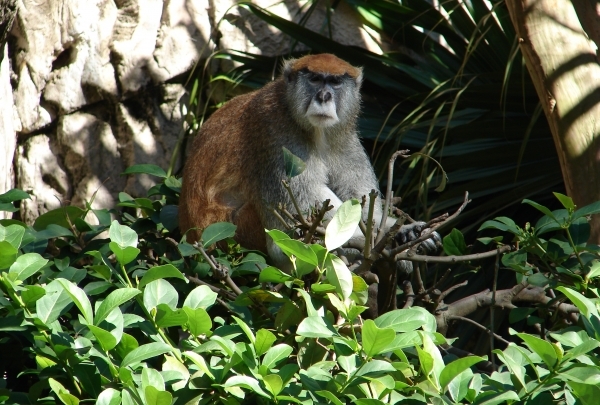 From the critter-filled swamps of Louisiana to the grasslands of Africa, you can explore some of the Earth's most intriguing habitats and the creatures that dwell within them at this world-class zoo. Rated one of the top zoos in the United States, it features two rare white tigers as well as Komodo dragons. Ten antique dealers all sell their goods here. 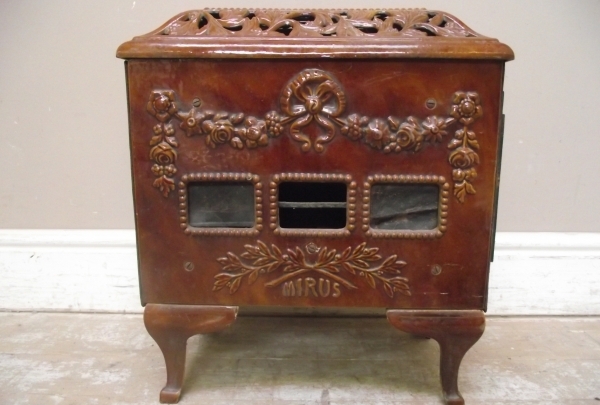 Furniture, clocks, toys and basically everything else under the sun is for sale! 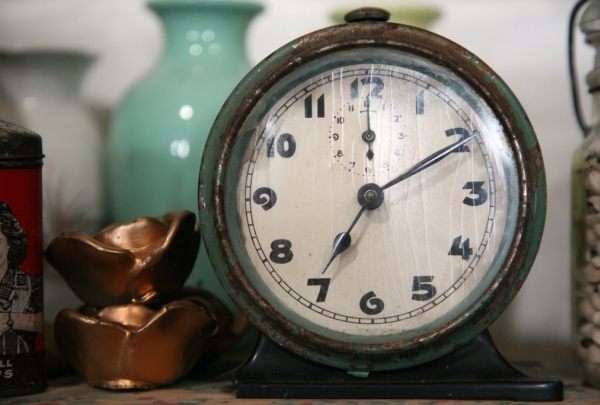 This virtual flea market of upscale wares features ten antique dealers all under one roof. There are an assortment of items to choose from including clocks, furniture, music boxes, dolls, jewelry, porcelain and much more. You will find an exceptional collection dating back to the 18th and 19th Centuries of Europe, Asia and America. If you have not found what you are looking for in any of the other shops, then you might find it here. They have something for everyone. You must try the peppermint chocolate drink here called the "Grasshopper." War, depression, fire, and ghost sightings sum up what this establishment has endured while still being able to deliver quality service, food, and drinks. Wash down the tasty weekly specialty burger with one of the signature whiskey cocktails every Saturday night at Capdeville. A bit of Britain has found its way into New Orleans with Capedeville. 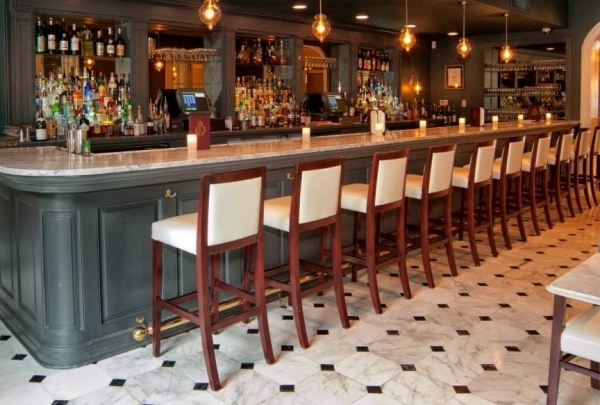 Inspired by British social houses, this Central Business District establishment offers a warm and sophisticated atmosphere for those looking for classy cocktails and gourmet eats in a upscale setting. 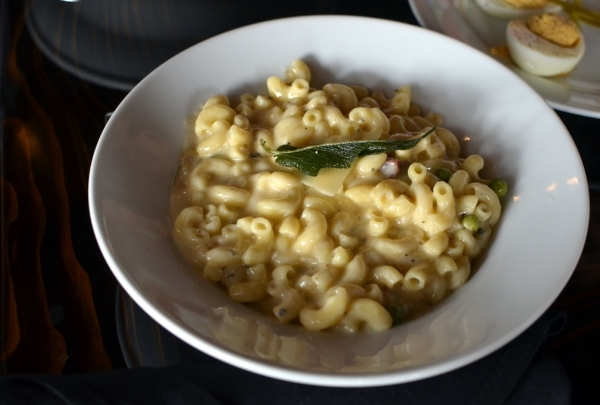 Capedeville puts a gourmet twist on classic comfort foods with menu options like Fried Red Beans and Rice, Louisiana Crawfish Fritters, and Truffled Mac and Cheese. This is a landmark known for handmade, Victorian-inspired tiles plus mugs, vases & a variety of other items. 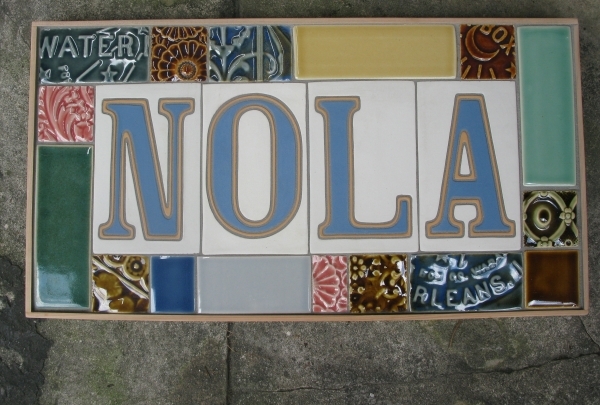 Derby Pottery offers a full selection of inspired tiles, including authentic reproductions of the letter tiles found in New Orleans sidewalks. The establishment boasts a variety of stoneware glazed with historically accurate colors with raised relief ornaments. They also have a famous New Orleans water meter cover reinvented in clay as a decorative wall clock in a spectrum of glazes. In a city that cheerfully celebrates fine dining as an art form, Broussard's is a New Orleans staple. Dishes created with a striking blend of Creole and French influences have made New Orleans a favorite destination for lovers of inspired cuisine the world over. Found right in the heart of New Orleans’ French Quarter, or Vieux Carre, Broussard's combines a mix of classic food, old architecture, and tradition to achieve a dining experience that you'll remember forever. This restaurant serves Creole cuisine and cocktails in a historic 1788 building with weathered brick walls. With a history of delicious dining and incomparable culture, you won't find a better Cajun restaurant experience in New Orleans. Classics like fried green tomatoes and New Orleans BBQ shrimp delight visitors. 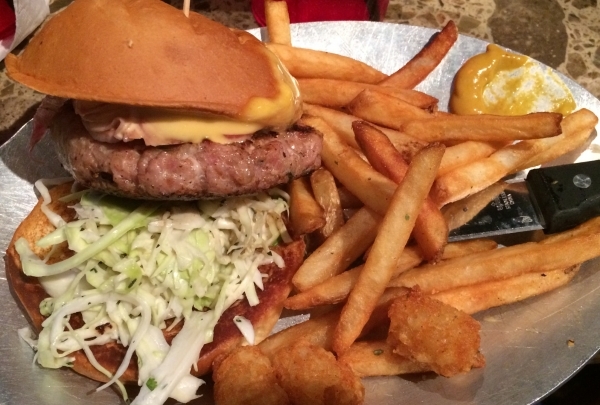 Bayou Burger is a laid-back haunt pairing specialty burgers & other hearty bar fare paired with local beers. Bayou Burger is happy to offer all visitors from near and far a New Orleans sports bar to call their own, whether it’s for their beers, burgers or all things sports. 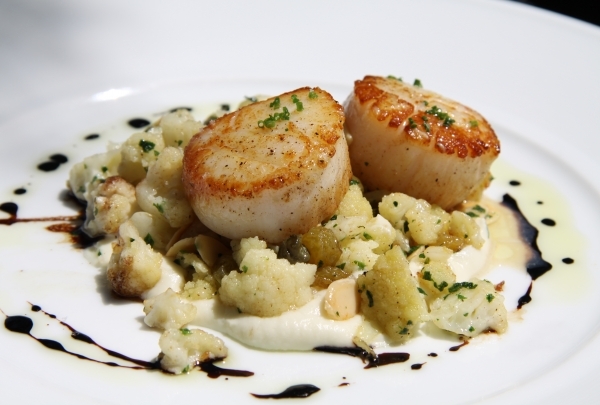 Royal House offers fresh seafood, including oysters prepared a variety of delicious ways. The members of Royal House love to serve visitors their first bowl of Gumbo or Jambalaya, and see visitors' faces when they timidly bite into a delicious morsel of fried alligator and find that it’s “better than chicken.” The restaurant offers up many traditional dishes, but put their own unique spin on each meal. 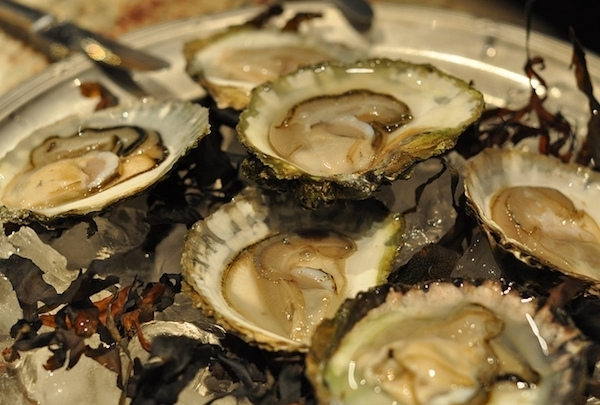 They also offer an oyster menu that can't be beat. 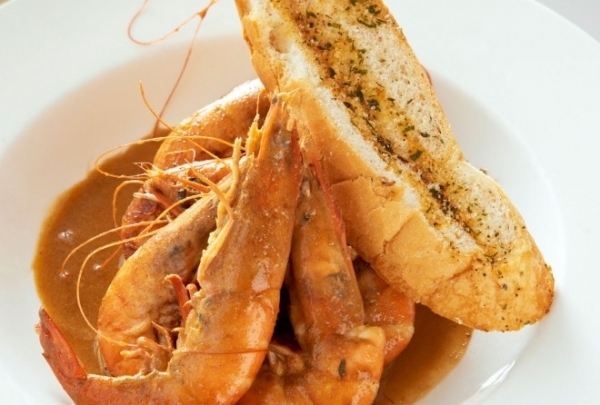 Visit this Cajun-Creole joint serving gumbo, po' boys & more in an elegant but comfortable space with multiple rooms. 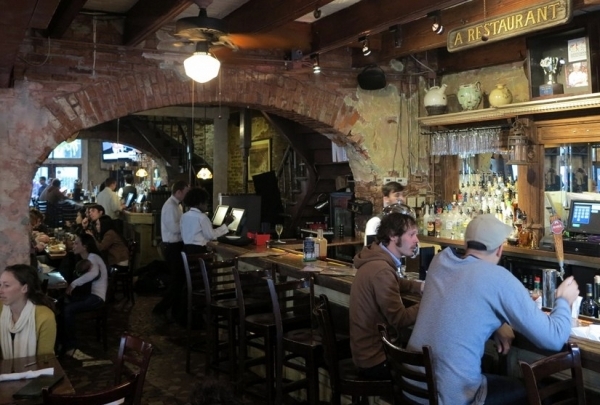 Chartres House is a favorite neighborhood bar and Cajun restaurant in the heart of the French Quarter. This corner is where friends meet for a cold beer after a long day and where tour guides tell stories to visitors looking to soak in the history of New Orleans and its rich culture. 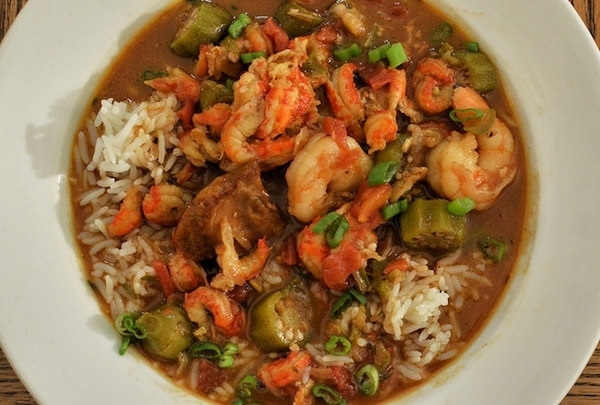 Visitors to the restaurant can tuck into local dishes like crawfish étouffée and jambalaya. 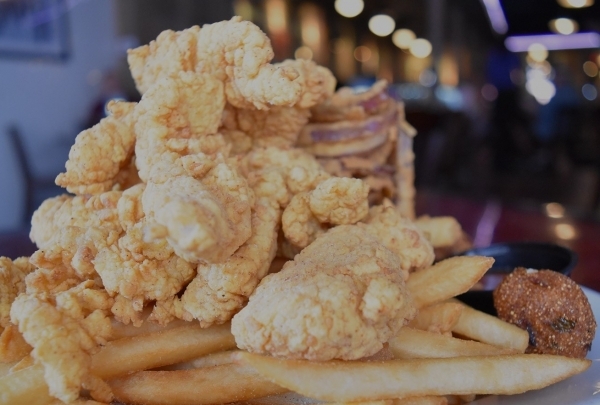 Pier 424 is a casual spot with an oyster bar & local eats like fried alligator, frogs' legs & Creole turtle soup. When you dine at Pier 424 Seafood Market & restaurant in the French Quarter, you can select from all of the freshest fare - from fresh fish, oysters, and lobsters, to boiled crawfish. Whether you like your seafood boiled, stacked, baked, fried, grilled or seared, this restaurant has a wide variety of fresh choices ranging from alligator and oysters to ahi tuna.